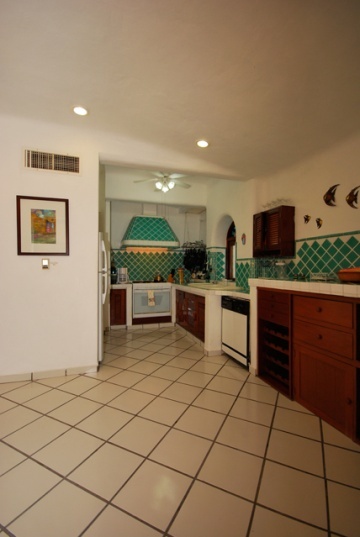 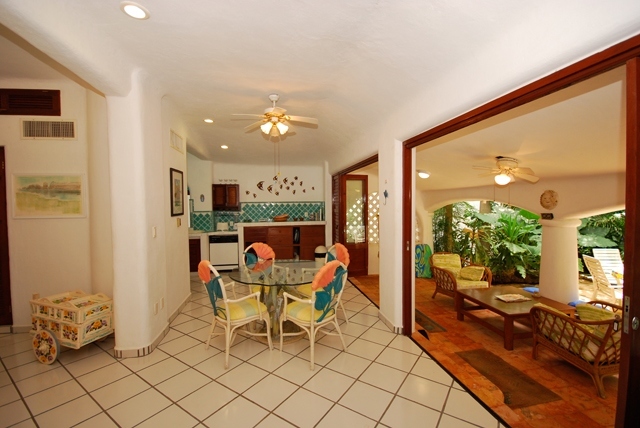 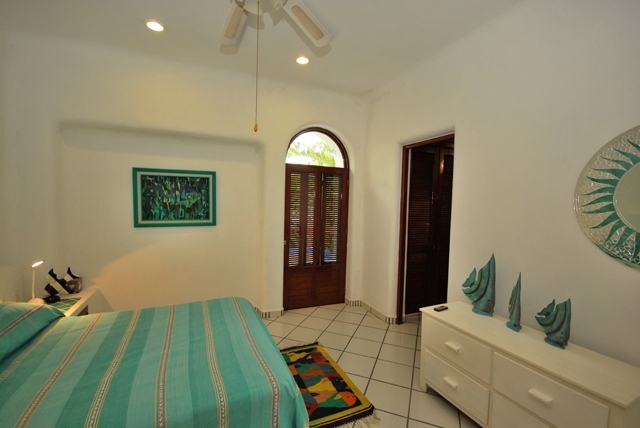 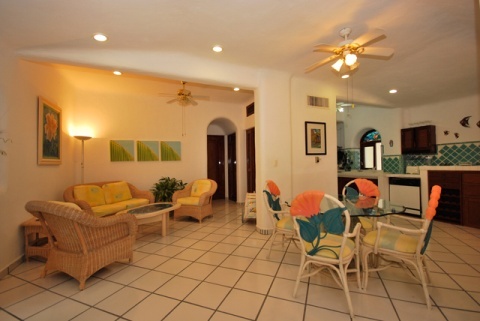 Brisa Quinta (A101): This is a Caribbean style, 2 bedrooms, 2 bathrooms ground floor casita. 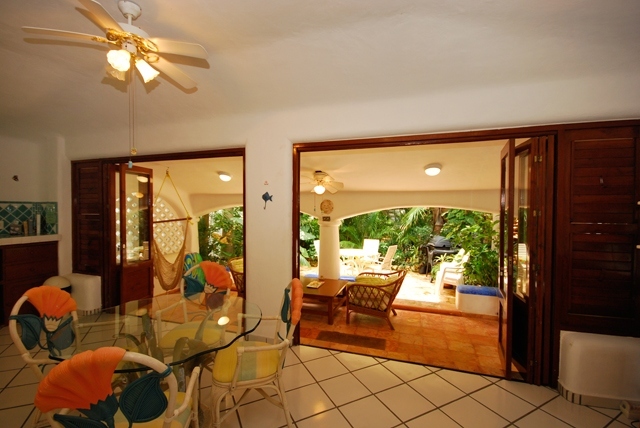 Beautiful caoba wood and glass doors open to invitingly blend the interior living space with the large, semi covered, outdoor terrace where you can relax and enjoy the shade and Caribbean breeze on even the warmest of days or nights. 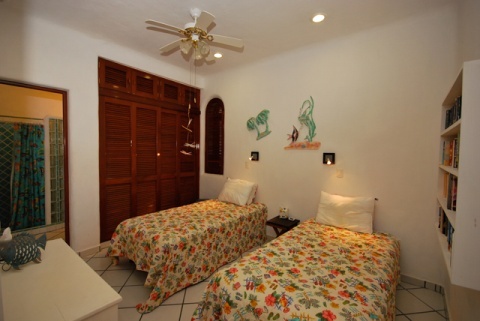 Decorated throughout in a comfortable Caribbean style, Brisa Quinta includes a numerous supply of classic movies on DVD and even VCR. 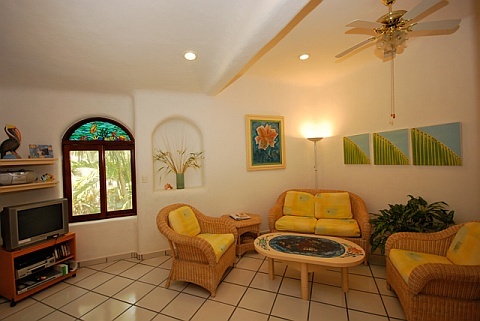 Bring your own books along or just choose from the many titles already on hand. 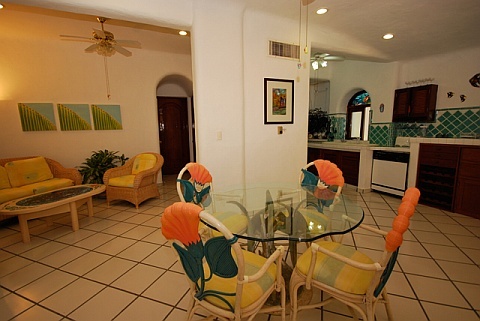 High 2012 Jan 03 – Apr 30 $ 1,470 usd. 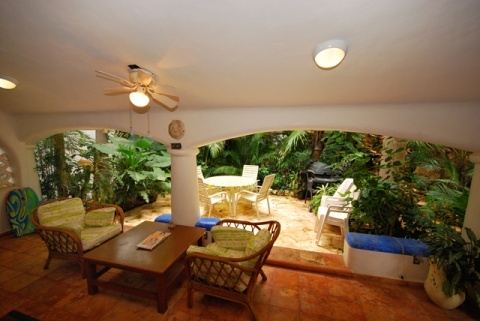 Value 2012 May 01 – Dec 14 $ 1,225 usd. 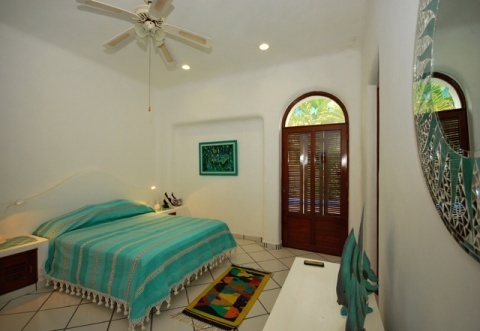 Holiday 2012-13 Dec 15 – Jan 07, 2011 $ 2,400 usd. 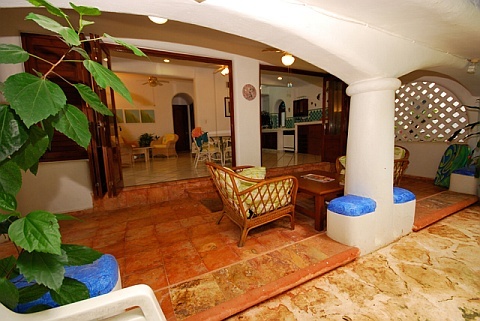 High 2013 Jan 07- Apr 29 $ 1,470 usd.